Imperial Opera online slot is PlayNGo's 20-payline celebration of Ancient China's keen interest for music and arts. Illustrations of imperial court members and entertainers land as top paying symbols. A beautiful Chinese Princess takes center stage as Wild Symbol that can also form a winning combination. To boost chances of earning pays awarded by all icons, including on lesser paying A, K, Q, J and 10, four (4) power up features occur arbitrarily. Pay close attention to highlighted reels during an ongoing base game spin. The framed columns may return with 2 up to 3 Synced Reels. Other possible outcomes include Wild Reels, Stacked Symbol Add-ons, and Mega Symbols. 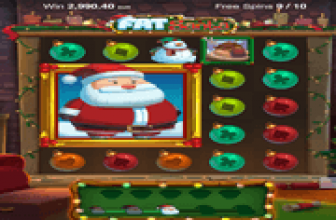 The Free-Spins Bonus Grid is more impressive, as the highlights constantly focus on the Center Reels. Reels 2, 3, and 4 will always generate synced outcomes. On top of that, the base game feature that brings Stacked Symbols additions may also occur. A combination of those power up features will likely produce longer winning payline arrangements. The lone female icon depicting a beautiful Chinese Princess represents the Wild Symbol. The Princess Wild may be showcased as Stacked Symbols in any reel. Any segment of a Princess Wild Reel can perform substitution action, if aligned with matched icons in the same payline. Two, three, four, or five Chinese Princess images falling into payline positions starting from the leftmost column, have greater impact. The longest combination formed in a payline, awards 5x, 50x, 75, or 250x the value staked per line. Harmony The title indicates a spin outcome containing synchronized reels. Two or three reels will return with the same set of symbols. Crescendo Chances of hitting multiple payline wins receive a boost. Here, the spin outcome is certain to display 1 or 2 Wild Reels. Showcase A randomly selected symbol except the Free-Spins icon, will occur as Stacked Symbols in any reel and on any spin; whether paid or free. Mega Symbols Any character may appear as a Mega Symbols in a 3×3 dimension in 3 random adjacent reels. Although the Free-Spins icon regularly emerges as a 3 x3 image, it shows up only during a harmoney event. 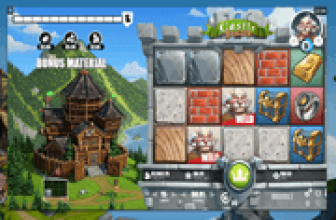 When the Harmony feature brings on 3 synchronized reels, it may include a Free-Spins Mega block. Actually, the only time the 3 x 3 Free-Spins Mega Block appears is during a Harmoney event. Once this special symbol emerges in full, the Imperial Opera Free Round activates. The bonus bout will carry on with 10 free-spins, played on a grid in which the contents of Reels 2, 3, and 4 are in constant harmony. On every bonus spin, all 3 center reels will display synced elements, or a huge Mega Symbol, including the Free-Spins icon. If the Free-Spins Symbol comes into full view, then the bonus round will extend with another set of 10 free games. 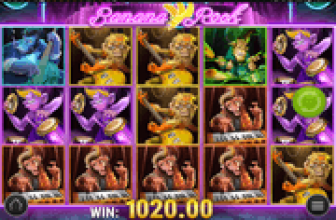 Imperial Opera : Wild Reels, Synced Reels in Base and Bonus Spins Can Generate Big Wins! Imperial Opera online slot brings an exciting icon-matching game as the base and bonus game grids have win-boosting features that add Wild Reels or Stacked Symbols; or Synchronize elements of 2 to 3 Reels, on which a huge 2x2 or 3x3 Mega Block of a top paying icon may appear. The Synced Reels occur in the Free Games as a constant feature, while Stacked Symbols will likewise remain active.